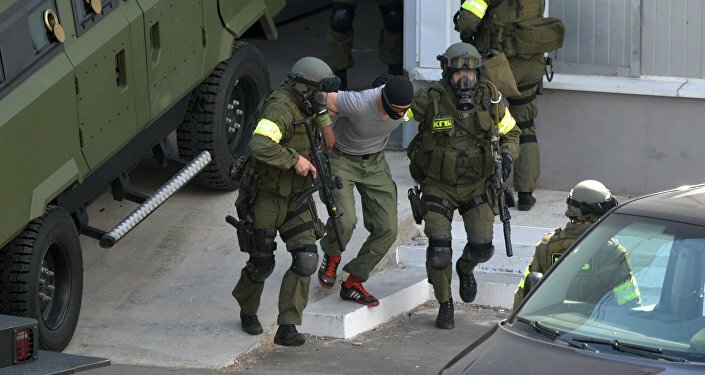 MINSK, June 13 (Sputnik) – An explosive device has been seized from a terrorist suspect detained in Belarus, the State Security Committee of the Republic of Belarus (KGB) chairman said Tuesday, adding that the suspect was plotting an attack in Europe. "The last was detained jointly with the Ministry of Internal Affairs. He had an explosive device, he was preparing to commit a terrorist act in Europe," Valery Vakulchik said as quoted by the Belarusian Belta news service. Earlier today, Valchuk revealed that eight terror suspect had been detained in Belarus so far this year, noting that "these are persons who are involved in terrorist and extremist activities who were on the international wanted list, who have been in Syria." Vakulchik clarified that the suspect had traveled to Belarus from Germany.